There are many things which a person wants to keep secret and confidential. What can be more than a password…agreeing? But to keep the password safe, you need an application which can store, manage and keep your password safe and secure. Apart from being it secure, it should also provide you the password instantly when you need it. Especially the need for such tools arose when you have loads of password to remember and for the obvious reason a person can’t keep the same password for all the sites. In such situation, a tool like Passwork helps. 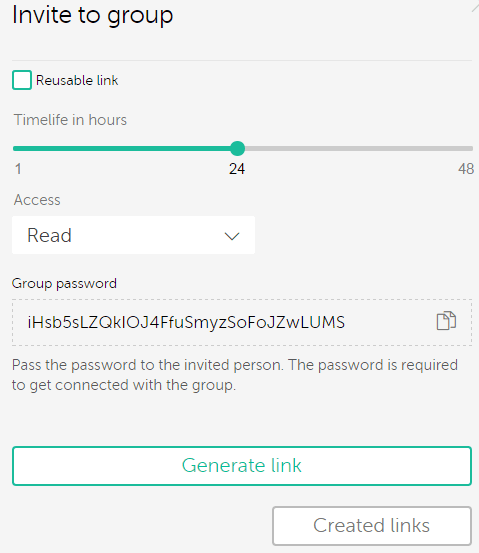 Passwork save all your password on the server in heavily encrypted form. The company keeps password and all other sensitive and confidential data in AES 256 highly encrypted format. In this Passwork Review, I will be talking about Passwork, it features and how it is helpful for all kind of people and companies. So let’s start with the Passwork Review. 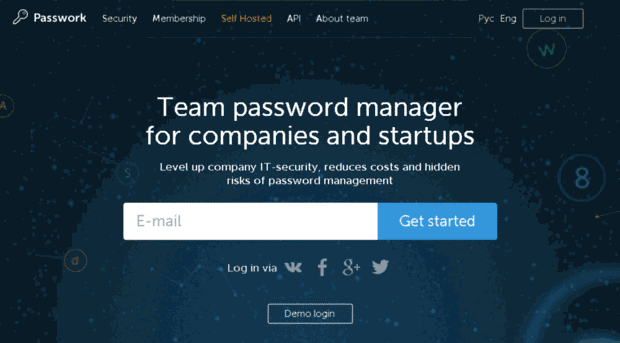 Passwork is a team password manager for companies, startups, and individuals who wish to manage their passwords efficiently and securely. It boosts the company IT-security, reduces costs and hidden risks of password management. The password stored at the Passwork server is highly encrypted and no one else can decrypt it and are kept as highly confidential data. The data transaction over the server is also highly secured and there is almost no chance of data loss. Passwork provides multiple features for the users. Let’s see some of the amazing Passwork features here. All you need is a valid email id to get started with Passwork. Just enter your emails id, choose a password and the secret word. The secret word should be confidential to you. This word will never be sent to the server and so there is no chance of getting known to others. Now you can add a password with the help of “Add Password” button available at the top right corner. It will show you a form and once filled; your password will be saved. 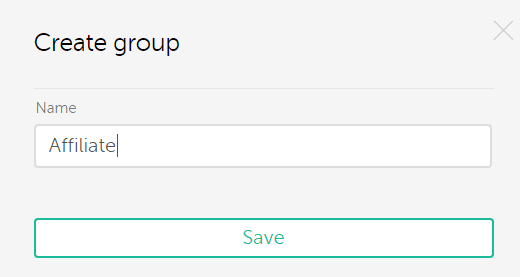 You can also add group here and add different passwords there. For example, I have multiple affiliate site accounts and so I have created a group with the name “Affiliate” and have added all my Affiliate Accounts there. 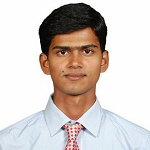 This helps to identify and find the credentials quickly. You can also invite other users to the group. For this, the simplest way is to generate the link and share with others. For this just click on “Invite to Group” link and customize the link as you want. 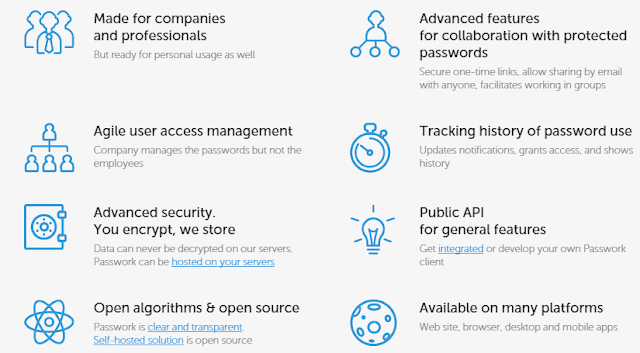 Here are some of the awesome features of Passwork which will help you to manage password efficiently. • All of your data can be exported in CSV format to your local hard disk or any other backup device. • One can also create a link that expires in a particular time frame (48 hours maximum), this link can then be shared with a group by applying some permission such as Read, Edit, or full access. • Your data is backed up automatically on the cloud. • Also, they guarantee that your data won’t be leaked if it's requested by third parties or even other country’s officials. Instead of hosting your password on the passwork’s server, companies can also host their password on their own server. It comes with auditable source code that is hosted on your servers. It uses PHP and MongoDB as the server side technologies and HTML5 & Angular JS as the client side technologies. 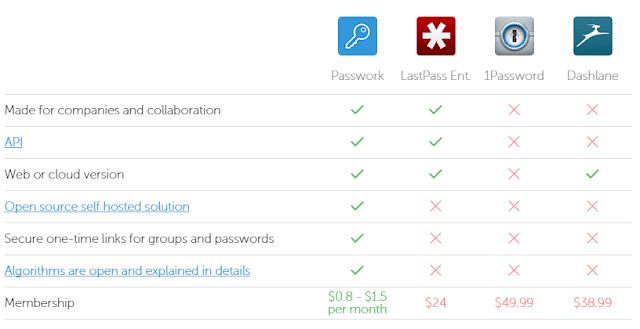 Passwork is coming with very affordable pricing options. 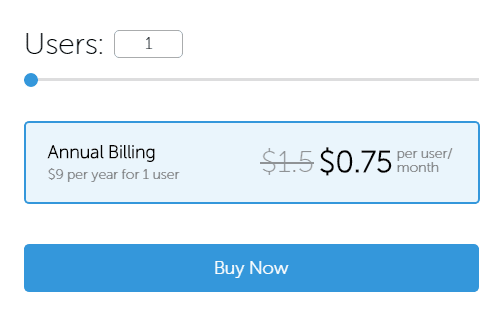 It just starts with $0.75 per user per month. There are various reasons as for why Passwork is preferred over other password management tools. Below are some solid reasons as for why companies and individual prefers Passwork. The application is available to be downloaded for different platform namely android, windows, iOS etc. You can download the apps as per your convenience and use. This was all about Passwork Review. 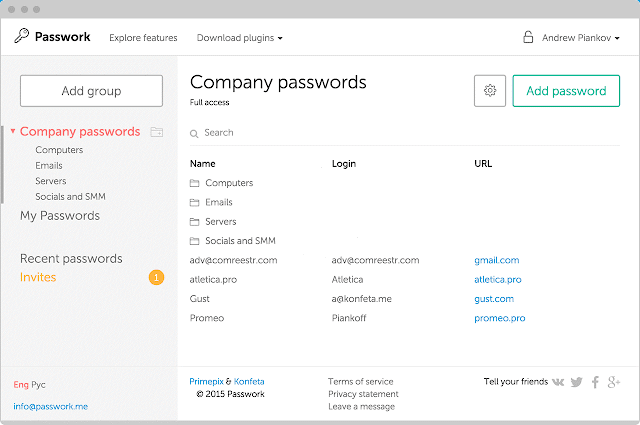 Passwork is really a helpful tool to manage a large number of passwords. 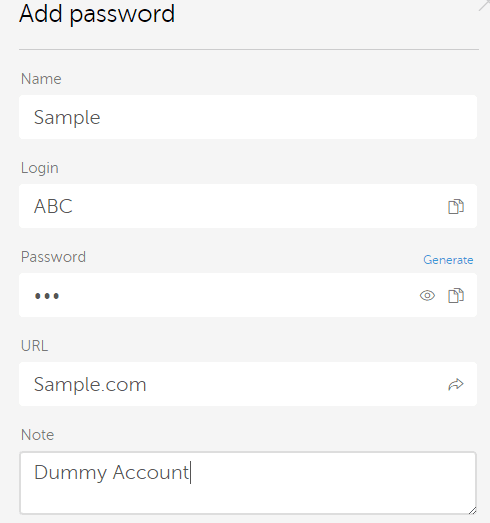 All you have to do is just remember a single password and get the password of the desired site from the Passwork dashboard as and when required.